The 2015 Feeding Tube Awareness Week® reached 1.6 million people! 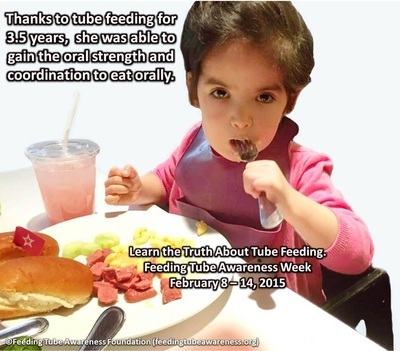 The theme for 2015 was "The truth about tube feeding." People are often concerned about how tube feeding may limit their activity. However, children and families adjust, and tube feeding doesn’t have to stop kids from being kids, or stop adults from living their lives. 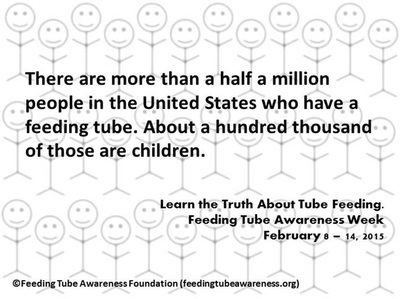 Feeding Tube Awareness Week® celebrates how nutritional support helps people to grow, develop, and thrive. 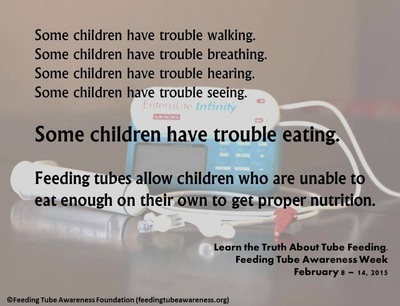 It encourages clinicians, caregivers, parents, and tube feeders alike to embrace tube feeding as a path to improved health and development, when there is a medical need. Moreover, the week focused on dispelling myths and misconceptions about tube feeding. 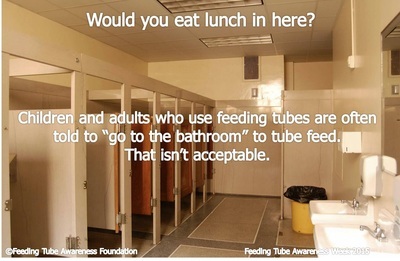 Talk about the reasons you, your child, or your loved one is tube fed. 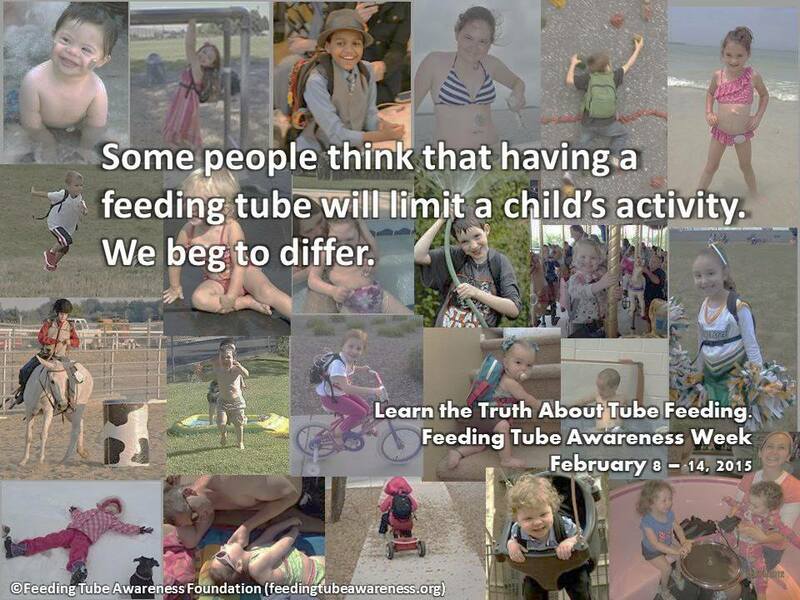 Raise awareness of the medical conditions that made tube feeding necessary. Monday, February 9th: Spread the Word! 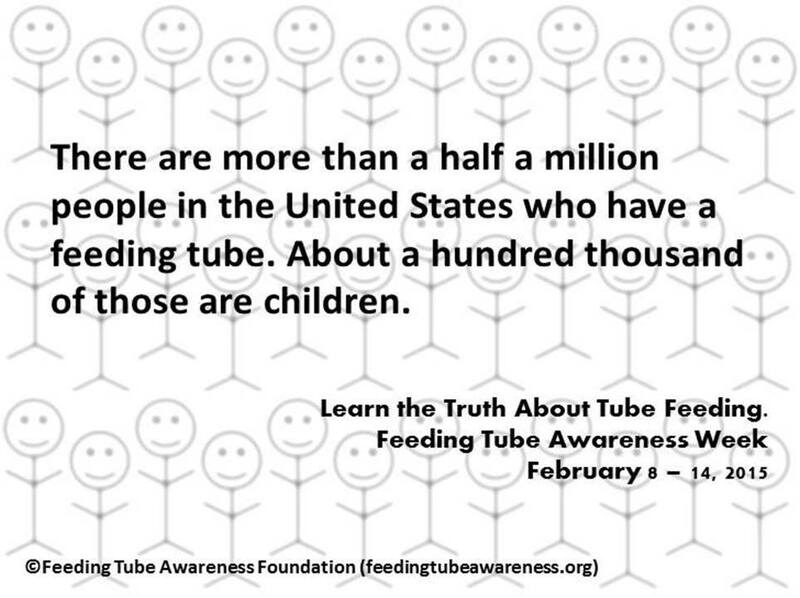 Spread the Word that it is Feeding Tube Awareness Week® and what this week means to you. Tuesday, February 10th: Address Myths! 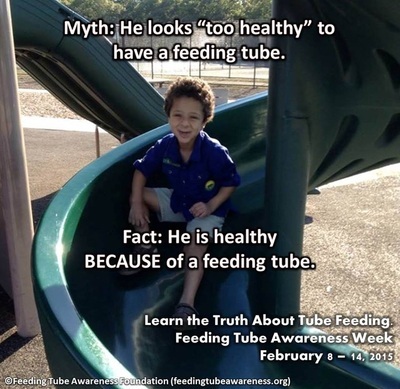 Address Myths about Tube Feeding. 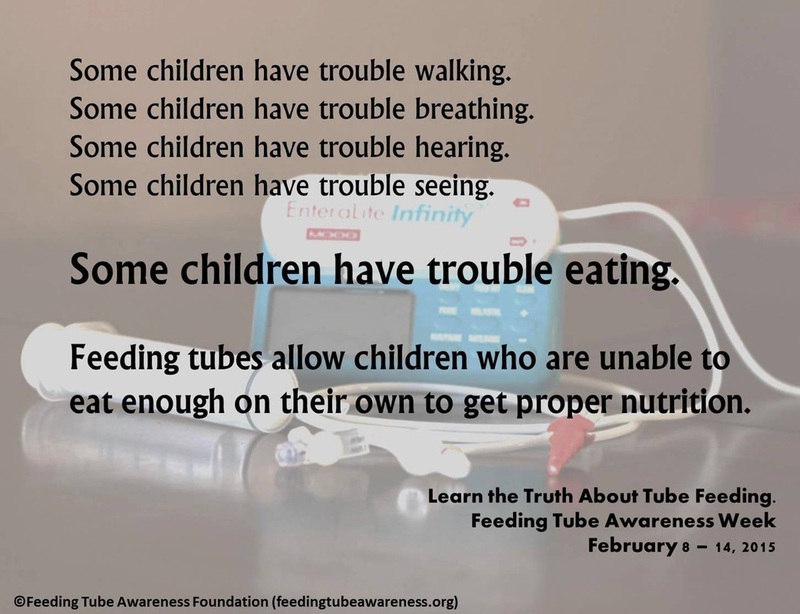 We all have heard things from family and friends that actually aren’t true about tube feeding (no, a child will not always eat if they are hungry, etc.). 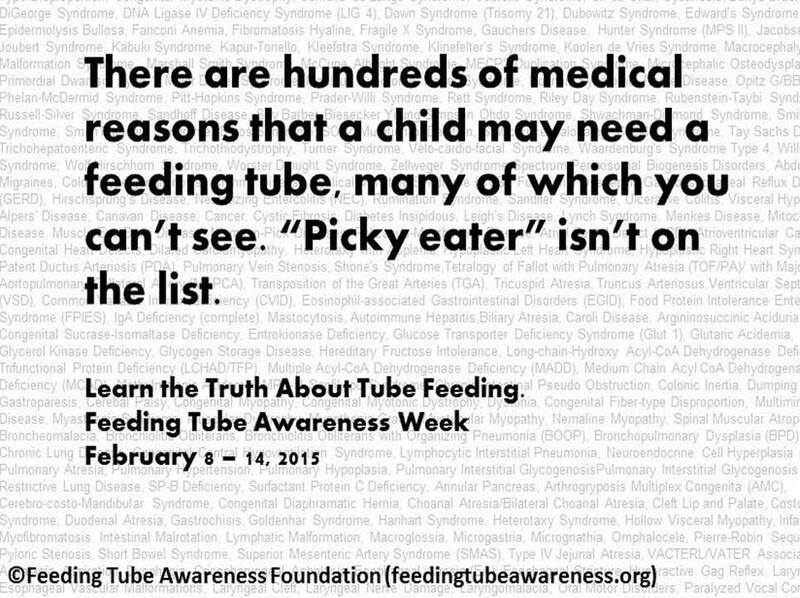 This is an opportunity to talk about what is fact, or real about tube feeding. Thursday, February 12th: Celebrate Success! 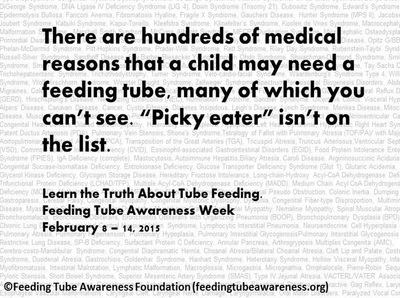 Talk about the benefits you, your child, or loved one has received from tube feeding. What is he or she able to do? Celebrate their successes! Friday, February 13th: Feeding Tube Fun! 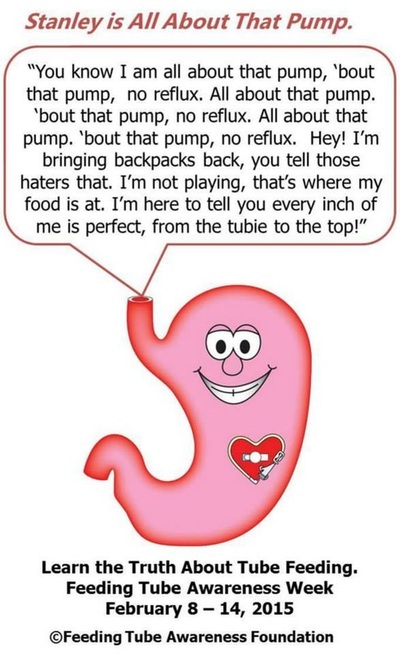 Saturday, February 14th: Tubie Love! It is Valentine’s Day – Show your Tubie Love!! !